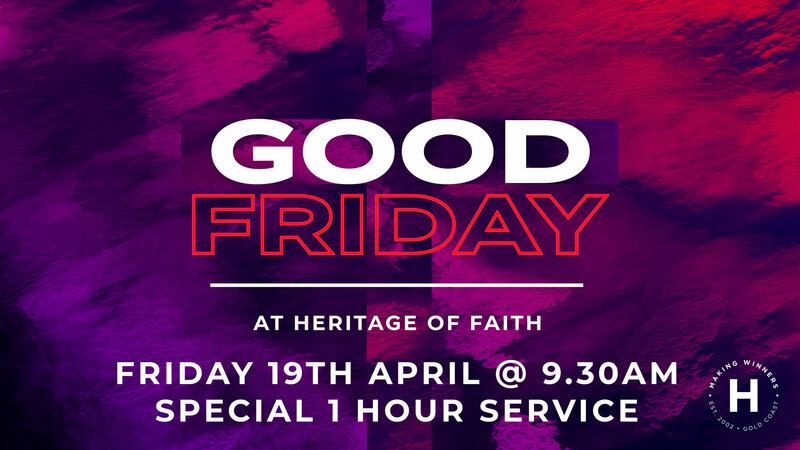 Find out what is going on with Missions at Heritage of Faith, brought to you by our amazing Missions Co-Ordinators Jim & Lynne Carter. 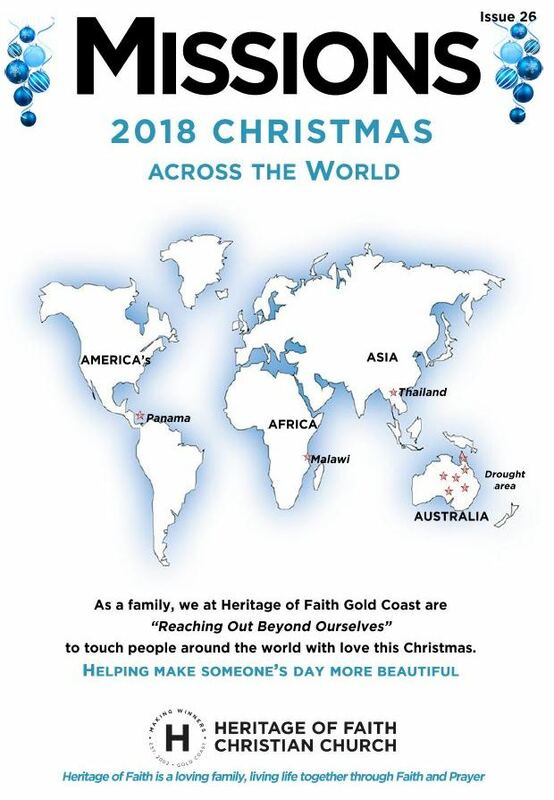 This edition’s focus is on the amazing missions that we are supporting during our upcoming Christmas Campaign. Issue 26 for November 2018 is available now at church and also for online download. 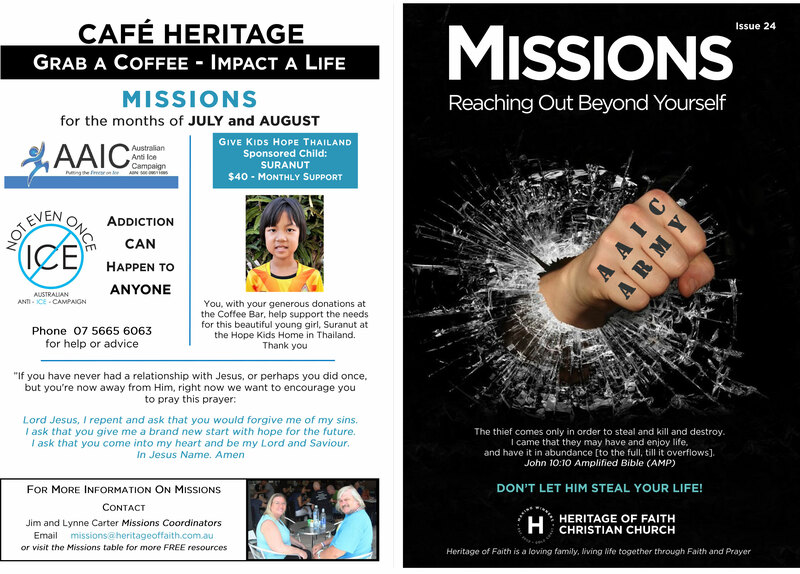 This edition’s focus is on the some amazing missions that we are supporting. This month includes Drought Angels which we are supporting at the Barista Bar. Issue 25 for September 2018 is available now at church and also for online download. This edition’s focus is on the some amazing missions that we support including the Australian Anti Ice Campaign. Issue 24 for July 2018 is available now at church and also for online download..
Issue 23 for May 2018 is available now at church and also for online download.. 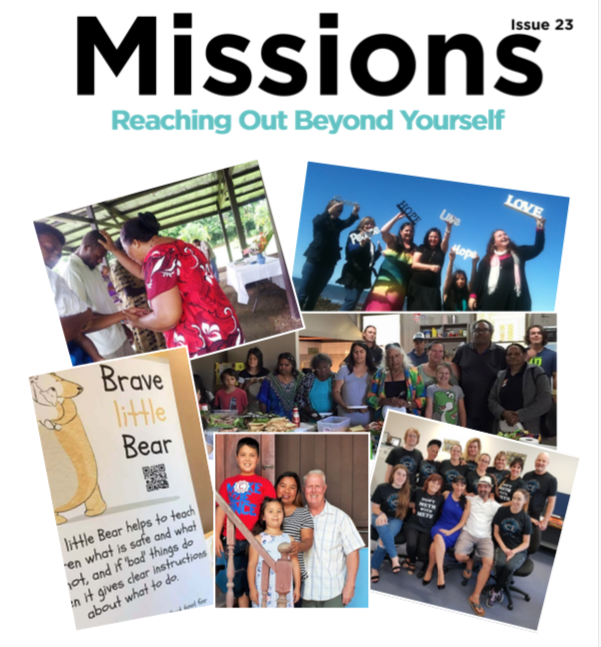 This edition’s focus is on the amazing success of our Christmas Missions projects. Issue 22 for February 2018 is available now at church and also for online download.. This edition's focus is on our Christmas Missions giving. Issue 21 for November 2017 is available now at church and also for online download..
Issue 20 for September 2017 is available now at church and also for online download..
Issue 19 for June 2017 is available now at church and also for online download..
Issue 18 for April 2017 is available now at church and also for online download with a special focus on our Food Drive for Rosies.